Are shisha pens bad for you? How does shisha liquid differ from e-liquid? How do you use your e-shisha pen? Where can you buy the best shisha pen? While the e-shisha market is currently not as large as that for e-cigarettes, its growing popularity means we expect the range of e-Shisha products to continue to increase giving you more options and allowing us to do even more analysis to find you the best shisha pens and liquids. We have also completed our Beginners Guide to Shisha if you want to find out more. Don’t be fooled by cheap shisha pen bling! By Tracey Jackson. The original Hookah shisha pipe derives from the Persian word “shishe” meaning glass. The term shisha refers to the method of using a smoke and water vessel to inhale dark tobacco mixed with certain fruits to add flavour. The advent of e cigarette technology now allows for safe shisha pen vaping with a huge range of shisha e liquid flavours. 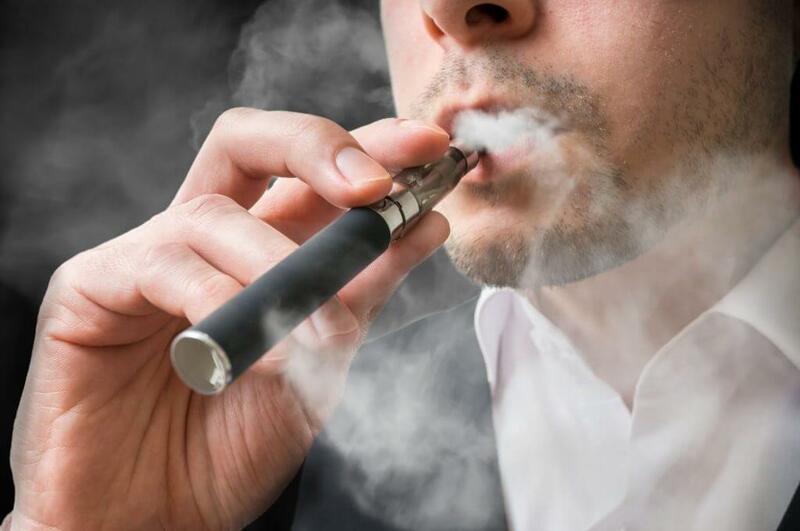 If you already own a vape pen or vape stick you will be familiar with the e-liquids you use in place of the normal tobacco found in traditional cigarettes. E-cigarettes are primarily designed to be an alternative to traditional cigarettes and help people give up cigarettes completely. You can also use your e-cig or your shisha stick to vape “e-shisha” using e-liquid designed for flavour rather than nicotine. While traditional shisha is usually associated with “smoking” a syrupy tobacco mix smoked through a water pipe or narguile, e-shisha, or hookah, is primarily associated with vaping 0% nicotine in a PG and/or VG flavoured liquid using an electronic shisha device. Electronic shisha is a great option for those wanting all the flavours of shisha without the nicotine and without combustion. Here we look at the best shisha pens available. For more information on Shisha vape juice see our Shisha Juice Guide here. The traditional method of using the shisha pipe was considered by many to be as dangerous as smoking because of the combustion process, e-shisha uses vaporization so like vaping is considered considerably safer. 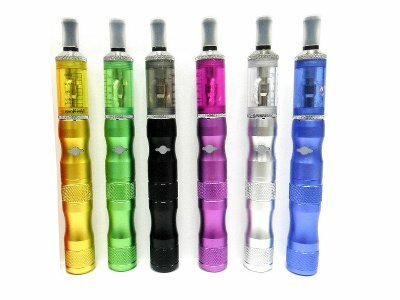 E-shisha pens are mini-tank e-cigs which allow the use of any e-liquid flavour (including zero nicotine). 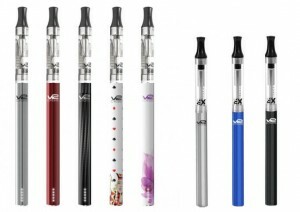 Most are based on a larger type battery which can be a little cumbersome and less sleek than conventional e-cigarettes. Many sites including eBay now sell cheap shisha pen products which are not high quality, leading to concerns over safety. Most of these particular pens are imported from China and then re-branded for sale in the UK meaning the quality of the components is often unknown and the e-liquids may not use pharmaceutical grade ingredients or be fully tested. We encourage you to buy only good quality shisha devices from reputable manufacturers. It is important to ensure you use safe tested e liquids and shisha pen flavours (see our e-liquid guide here). While the e-shisha market is still developing there are limited review sites focusing on shisha pens so we suggest looking at our reviews of the established quality e-cigarette brands and buying your shisha product from one of them. V2 (known as Vapour2 in the UK) who have over 2 million customers worldwide and have now developed an excellent shisha pen kit range. This uses their e-cigarette battery technology which is of the highest quality, resulting in a high quality dependable 4.2-volt battery, compared to most other batteries which are around 3.7 volts. This gives you more power, so you get more vapour/flavour and a longer period between charging. It also adds to the life of the shisha battery. Based on their excellent e-cigarettes it was no surprise that we found Vapour2 to be the leading UK brand for shisha pens based on their high quality components and range of products. 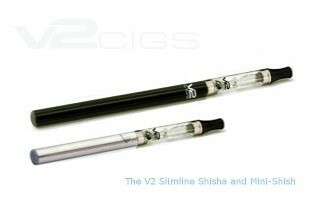 V2 have a full range of ‘slimline’ shisha pen batteries. Many shisha pens comprise up to five separate parts, some parts simply push together rather than having a screw-thread. This means the shisha liquid can leak. The V2 shisha pen has 2 parts – a shisha 4.2 volt battery and a shisha-liquid container or cartridge that simply screw together. The V2 range now offers 5 “Classic” battery colours and 5 “Ex-Series” shisha battery colours so you are spoilt for choice. Less shisha pen parts means less chance of leaking e-liquid and less things to replace. The new Pure-eLiquids mini-shisha Pen range is the same quality as the Vapour2 slimline pen but the battery is almost half the size making it a great compact option. This is definitely the best device if you are looking for something small. This device can also be used to vape your favourite CBD e-Liquid. Click the image below to visit the site for more details. 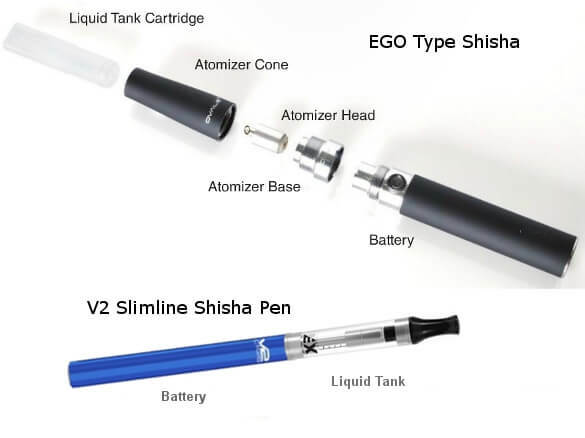 Other reputable companies selling e-shisha include Pure-eliquids who have a full range of shisha pens and organic VG shisha e-liquids and UK E-Cigarette Store. For the best vaping experience with your e shisha pen battery make sure you use proper tested gourmet e-liquid. In the United Kingdom many shisha liquids do not give full disclosure of their ingredients. Do spend a little time and view our full e-liquid review section to find safe e-liquids that are fully lab tested with detailed ingredients. Gourmet eJuice reviews here. 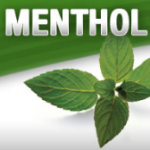 E-shisha is an electronic form of smoking nicotine free shisha liquids. Traditional shisha is a syrupy, tobacco mix that is smoked through a water pipe. E-shisha is primarily 0% nicotine and can be smoked using a normal vape stick or shisha stick. 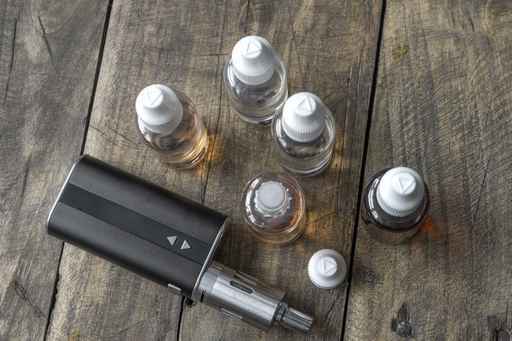 Normal e-liquids contain a certain amount of nicotine (measured in mg) whereas e-shisha does not contain nicotine and is usually sweeter and more flavoursome when vaped. A regular, refillable e-cigarette or vape pen is all you need to vape e-shisha. You can buy a pen device specifically for e-shisha but your usual high quality vape pen will do the same job. If you don’t want to commit to an e-cigarette or shisha pen for the long term there are many different flavoured e-shisha sticks that offer a limited amount of vapes before having to be disposed of. Less common are e-hookahs – you’ll find that the more popular e-cigarette brands will have e-shisha that can be used with their normal devices, so an e-hookah isn’t essential. Vaping e-shisha is the same as using a normal e-cigarette. Before vaping, fill up your vape pen’s tank with the e-shisha liquid. Then switch on your device and inhale like you would with normal e-liquid. E-shisha predominantly comes in sweet flavours ranging from peach and strawberry to more adventurous flavours like pear drops or energy drink flavour. There is also tobacco flavoured e-shisha but these are more popular with people trying to quit smoking than regular shisha lovers. It is important to use pharma grade lab. tested liquid. Many e-shisha liquids may be made or mixed from a combination of concentrates and other unknown flavour ingredients in shops, so we strongly recommend buying from a reputable online company to ensure high grade, safe ingredients. Due to shisha pens not being hugely popular amongst vapers yet, the best place to purchase is directly from the manufacturers website. Some of the larger name e-cig brands like V2 and some online retailers like Pure-eLiquids and UK E-Cigarette Store stock e-shisha liquid in 10ml, 20ml and larger bottles and offer safer fully tested e-shisha liquid. Also check out our best e-shisha pen reviews. Will the tobacco product directive affect my shisha vaping? In theory, according to Metro, TPD regulations should not affect your shisha pen vaping providing you are using zero nicotine. This also applies to herbal vaping, again provided that no nicotine is involved ie zero nicotine e-liquid is not covered under the new TPD rules and regulations. Take a look at our best vaporizer review here: The Pro Series 3. Or the S3’s bigger brother: The V2 Pro Series 7 Vaporizer review. Do not waste time & money on cheap imported shisha pens or a cheap shisha pen battery.